Griffin's Kazoo and Animal Parade cases for the iPhone 5 are undoubtedly one of the most outrageously fun-tastic! cases you can find for the kid in you. Because we're pretty sure you wouldn't buy your own little child an iPhone 5 now would you. So these must be for the young, the very young at heart. Or then again, for your iPhone 5 wielding 5 year old. 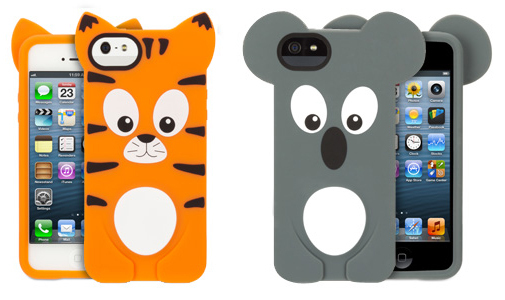 Both the $25 Kazoo and $20 Animal Parade series of iPhone 5 cases are made from durable, soft silicone and will provide scratch and knock protection.